The least loved of the four films hard-boiled husband and wife Humphrey Bogart and Lauren Bacall made together, Delmer Daves' adaptation of the excellent David Goodis novel for Warner Brothers is actually a solid piece of work, although admittedly not without its faults. 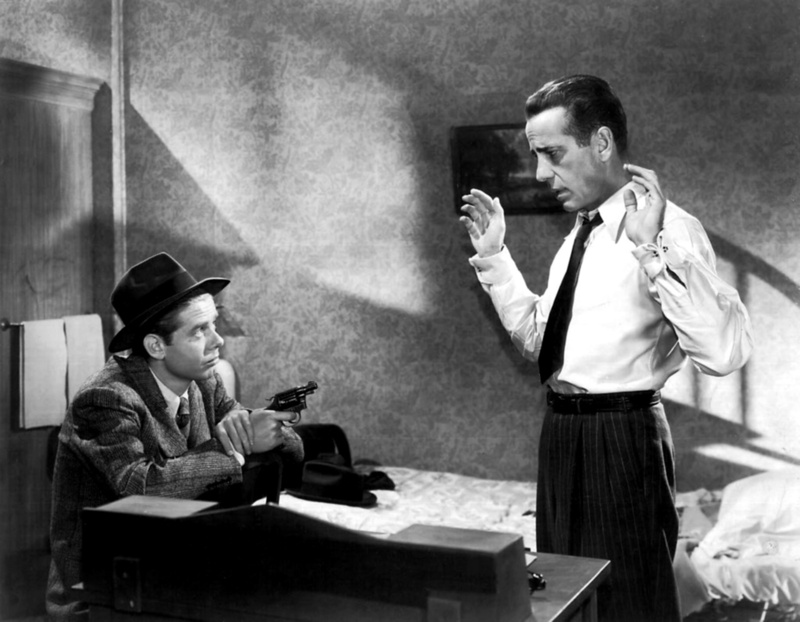 Bogie stars as Vincent Parry, a con who escapes from San Quentin three years into a life sentence for the murder of his spouse and is determined to prove his innocence. Parry immediately runs into trouble on the road and is lucky to be rescued by beautiful amateur artist Irene Jansen (Bacall) who seems determined to help him and too good to be true. Irene allows Parry to hide out in her plush San Francisco apartment where a fond feeling quickly develops between them, despite Parry's face being trussed up in bandages like the Invisible Man after his undergoing plastic surgery to evade the cops. The fugitive soon finds himself framed once again when his best friend George (Rory Mallinson), a lonely trumpeter, is found dead, prompting him to delay his flight to Peru in order to investigate, just as the police dragnet is drawing in around him. 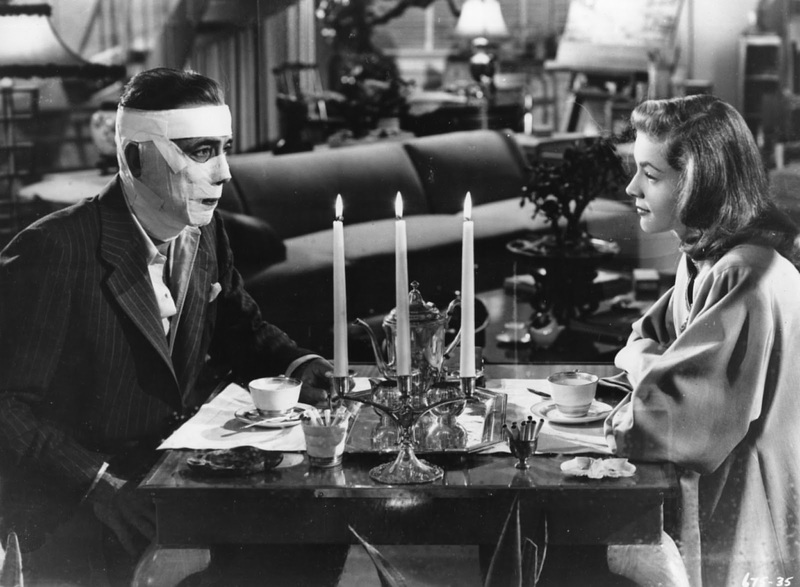 We don't see Bogart's face on screen for the first 62 minutes of Dark Passage. Instead, Daves shoots much of Vince Parry's escape from prison and subsequent scrambling for survival in the first-person, moving rapidly to capitalise on the recent box office success of Robert Montgomery's subjectively shot Raymond Chandler novelty for MGM, The Lady In The Lake. While the technique is perhaps better justified here in narrative terms, it hardly works in practice. Of course we know we'll be confronted with the unmistakable face of Humphrey Bogart when the mummified Parry unwraps his new head, we've seen the man's name on the poster and opening credits and heard his equally distinctive voice throughout. Despite the pivotal grand unveiling proving a flop, Bogie and Bacall are as reliably cute together as ever, there's an alarming hallucinatory dream sequence to enjoy when Parry is anesthetised by his surgeon and an expert piece of villainy on show from Agnes Moorhead as local busybody Madge, as twisted a harpy as they come. Quite whether the lovers fully deserve their happy ending, slow dancing in South America with three new graves dug at home, is another matter.